Fancy a healthy smoothie? Before you can refresh yourself, you have to do some work and collect the ingredients! Get in the kitchen and combine at least 4 fruits of the same type in a horizontal or vertical row in this fun Match3 game. Rotate the pieces and drop them strategically to complete the goal in each level. Be careful: as soon as the fruits reach the top, the game is over. Can you beat all 36 levels with 3 stars? 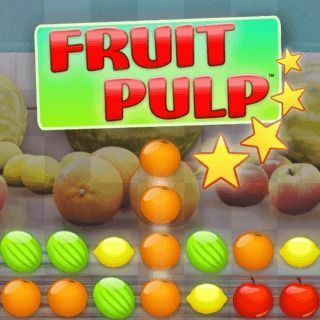 Fruit Pulp - Find Fruit Pulp in our vast HTML5 games catalogue. Only the best and newest HTML5 games for all audiences. Guaranteed success with Famobi.